Use flat bottom pans with light covers. Flat bottom pans minimize heat transfer losses. When cooking, use lids on your pots and pans and as soon as it boils, turn heat control to low just enough to maintain boiling temperature. 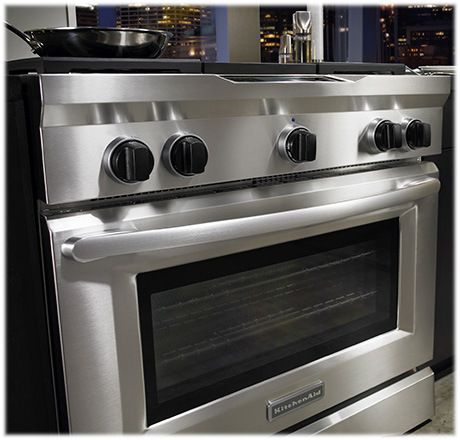 Monitor high-wattage cooking appliances such as toasters, coffee makers, etc. A deep fryer draws more wattage than some room air-conditioners do. A toaster consumes twice as much power as an automatic washing machine. Thaw frozen foods thoroughly before cooking. If cooking with electricity, turn off the burners several minutes before the allotted cooking time. Clean regularly the rubber tube of the LPG stove to avoid gas leaks. Rats and mice tend to nibble those greasy particles that have splattered on the tube while cooking and they may consequently bite into the rubber.